This article was originally published in the December 2018 issue of the Shout NZ. Though technically a fruit wine, cider has always been intrinsically linked to beer. This is in part because of the lower alcohol content – and therefore greater “sessionability” – of cider, but also because the culture of cider is more linked to that of beer, than it is to wine. Wine tends to be a more serious beverage. Higher in alcohol, loaded with bold flavours, and balanced by a considerable amount of acid, wine tends to be pondered over or sipped alongside a meal. The mere idea of quaffing a bottle of wine is untenable. Cider, on the other hand, (like beer) is a more social drink. Lighter, less acidic, and arguably less pretentious than wine, cider goes down easy on a hot day, and its’ fruity (often sweet), flavour-profile makes it an easy-drinking beverage that the masses can enjoy. Couple this with the fact that cider is the perfect drink for people with Gluten or hop sensitivities, and it is no surprise that cider sales have been on the rise for some time. It shouldn’t need saying, but Cider is an alcoholic beverage that is made by fermenting apple juice. While cider-making likely began thousands of years ago, the earliest record of fermenting apples into alcohol dates back to 55 BC, when the Romans invaded England and found that cider was already being enjoyed by the locals. Fast forward a few thousand years and cider remains a popular alternative to beer and wine. Typically ranging between 4.5 – 7% ABV (though stronger and weaker examples exist), cider is particularly popular in the U.K., as well many commonwealth countries such as Canada, Australia, and of course here in New Zealand. For a beverage that is typically made with just two primary ingredients (apples and yeast), cider can be surprisingly varied. It can be pale or amber, cloudy or clear, still or sparkling, sweet or dry, barrel aged, and/or flavoured with fruits, vegetables, spices, and even hops. All of this variation aside, cider can be broken down into a handful of traditional styles. Let us take a look at these established styles and become a bit more familiar with this age-old beverage that seems to be increasing in popularity with every year. The majority of the cider sold in New Zealand (and elsewhere) falls under a category known as “New World Cider”. Normally on the lower side of the ABV scale (around 4% – 6%), and typically made from the juice of common eating apples, New World Cider relies on back-sweetening (adding sugar or juice after fermentation is complete) to provide balance and drinkability to what would otherwise typically be a bland and flabby drink. If your drink tastes like an apple flavoured fizzy-drink, chances are it is a New World Cider. 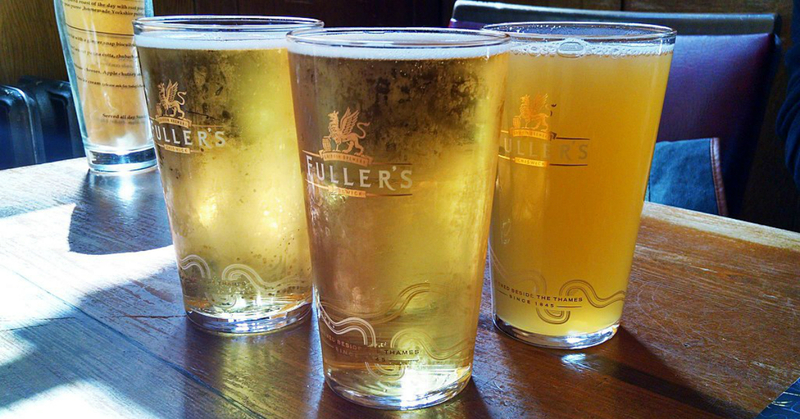 English Cider is an old world traditional cider that tends to be dry (though sweet examples exist), full-bodied, higher in alcohol (6% – 9% ABV), and complex. It is typically made with traditional Cider Apples, which contribute more tannins and bitterness than eating apples, and produce a cider that remains balanced even though the sweetness commonly found in New World Cider is not present. The flavours and aromas often found in English Cider are often described as spicy, smoky, and in some cases even barnyard. Many English ciders are bottled still, but carbonated versions are also common. French Cider is perfect for anyone who enjoys a sweet cider but also appreciates the complexity commonly found in old world ciders. Typically lower in alcohol (3% – 6% ABV), French cider is produced using a technique called “keeving”. Keeving is the practice of removing essential nutrients from the cider to arrest fermentation. Starved of nutrients, the yeast tire-out early and fermentation stops sooner that it normally would. The cider is then bottled near the end of that fermentation to capture the remaining CO2, resulting in a naturally sweet, yet sparkling, cider. A combination that is difficult to produce without the use of any chemicals, sugars, artificial agents or pasteurization. Spanish Cider (aka Sidra) is to cider, what Lambic is to beer. Bold and flavourful – though not for everyone – Spanish Cider uses only the wild yeast and bacteria that naturally occur on the apples to ferment the apple juice. The result is a cider that is dry, very fruity, funky, and sour. Spanish Cider is typically fermented for about 6 months before being packaged. The final product is cloudy, with a noticeable amount of sediment at the bottom of the bottle. Spanish Cider is also traditionally poured into the glass from a great height. This aerates the cider, blowing off some of its less desirable aromatic compounds and allowing you to enjoy a tart, refreshing, very unique, cider. “New England Cider” is a historical style of cider that dates back to the early American settlers who had an abundance of apples, and not a whole lot of safe water to drink. However, because cider that was lower in alcohol tended not to keep as long as stronger cider, these early pioneers would tend to ad sugary adjuncts to their cider ferments (such as white and brown sugar, maple syrup, honey, and molasses) to boost the alcohol and contribute to the styles signature flavour. New England Cider is also produced with New England’s local apple varieties, which tend to be higher in acidity. It is then commonly aged in oak barrels and sometimes includes additional adjuncts such as raisins and spices. The result is a decidedly strong, dry cider (7% – 13% ABV) with a moderate amount of tannin and acidity. While the style mostly died out on a commercial level, it has been brought back in recent years by a number of modern craft cider makers in the U.S.
Just as cider is made from fermented apple juice, Perry (aka Pear Cider) is made from fermented pears. As with cider, special varieties of pears are grown solely for making traditional Perry, while modern New World Perry tends to be produced from simple table pears. While Perry does express the flavours and aromas of pears, those notes tend to be relatively subtle. The result is a refreshing alcoholic drink that typically comes across a bit like a young white wine. In addition to the traditional styles of cider mentioned above, all manner of fruits, vegetables, spices, and even hops are commonly added to ciders. Usually these specialty ciders are relatively sweet, with a common New World Cider base, and they make up a considerable percentage of cider sold in today’s bottle shops. Whereas, berry-flavoured ciders seemed to dominate the shelves just a few years ago, we are now seeing ciders infused with increasingly exotic ingredients including – but in no way limited to – passion fruit, pineapple, watermelon, hibiscus, coconut, chocolate, and even cucumber. There is also an increasing amount of interest in higher ABV “Apple Wine” and “Iced Cider”. I had a chance to catch up with Harvest Cidery’s General Manager, Hamish Jackson, to ask him about the emerging cider trends that we might expect to see in the coming year. The growth in popularity of traditional ciders seems to prove that New Zealand’s cider consumers are continuing to mature. Much like we have seen in the craft-beer market, consumers are increasingly interested in the story behind what they drink. However, while in the beer world the notion of “craft” tends to refer to the independent and experimental nature of the brewing company, in cider “craft” tends to refer to being rooted in tradition; especially when it comes to the varieties of apples grown for cider making. While New Zealand is making strides in the right direction, the real transformation to watch for will continue to be in the orchard.